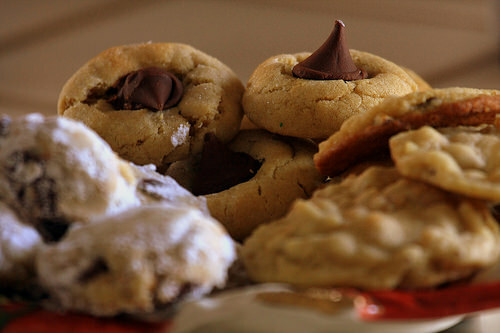 I love everything about Christmas, especially the cookies. Shortbread, gingerbread, fillings and frostings, I love them all. As much as I enjoy that part of the holiday season, I know consuming too many can be harmful to my health. That’s why I limit myself, even though I would love to consume a dozen a day. Own Everything: It’s a huge burden to create and do everything yourself. If you never listen to other ideas you will only limit your ministry. Take baby steps to correct this harmful habit. Ask a volunteer to plan an activity. Build trust and then give them a little more responsibility. If they mess up it’s okay, everyone is human. Give them a second chance. Take Others For Granted: Just because an adult comes to serve once doesn’t mean they are confidently all in. As a leader you need to make sure that you are constantly investing in leaders by growing with them relationally. If you have a large volunteer corp, invest in people who can invest in others for your. Build teams, build structure and avoid the assumption that others can endure the journey like you can. Stay With What You Know: The crowd is getting bigger and there is a buzz in the air about your ministry. It’s easy to assume that once you see success that you’ve arrived. But, because youth ministry is a movement it requires constant growth. As a leader you need to make sure you are learning from others and listening to new ideas. Make sure you attend conferences, read books and meet with like minded youth workers who will challenge you in your ministry. Stop Consulting God: It’s easy to believe that you are growing spiritually when you are constantly looking in a Bible and entering a church week in and out. The problem is that your work in a church does not always lead to personal spiritual growth. Be sure to surround yourself with people who will hold you accountable to your personal relationship with God. Never take Him for granted. Let Everyone Know Who’s In Charge: One of the most harmful habits a leader will face is pride. If you have to constantly let teenagers, parents or volunteer’s know who is in charge, you’ve lost their respect. To gain influence you need to learn how to be a servant leader. That means showing others that nothing is beneath you; however, also setting limits to what it is you do. Harmful habits will eat away at your ministry. While it’s important to embrace the positive it’s also important to avoid the negative habits that will take you down as a leader. Never stop growing as an individual, embrace humility and always look to God for guidance. What other harmful habits should be avoided?